We live these values and do our best to give a great experience to our patients. 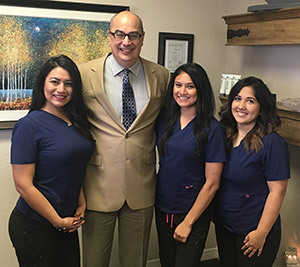 Since 1988, Dr. Tom Georges has been passionate about helping the residents of El Paso and live healthy lives through safe and natural chiropractic care. We see patients of all ages, from infants to 90-year-olds and everyone in between. We do our absolute best to serve our patients’ needs. We realize everyone desires to live the best life they can, and will do everything possible to help make that happen. We love what we do, and we make a difference in our patients’ lives. We strive to provide not just what is expected but beyond. We are constantly looking to provide an exceptional experience for our patients. An educated patient has a better voice to make great decisions. If you chose to do something every day why not have a great time doing it? Our purpose is to provide the best environment possible. We also hire great people and train them well so you and every other patient can be assured that you’re getting the highest quality care and service possible. If you’d like to experience health and healing, contact our chiropractic care center today to book an appointment!